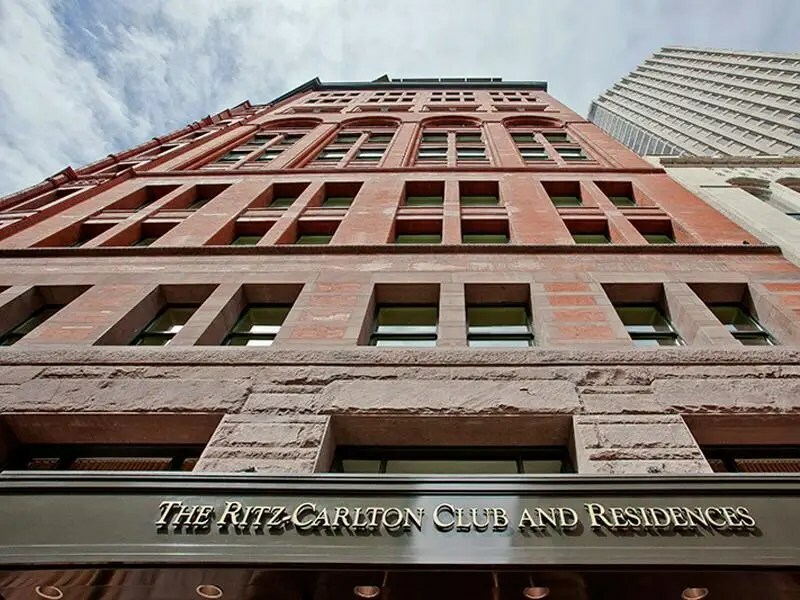 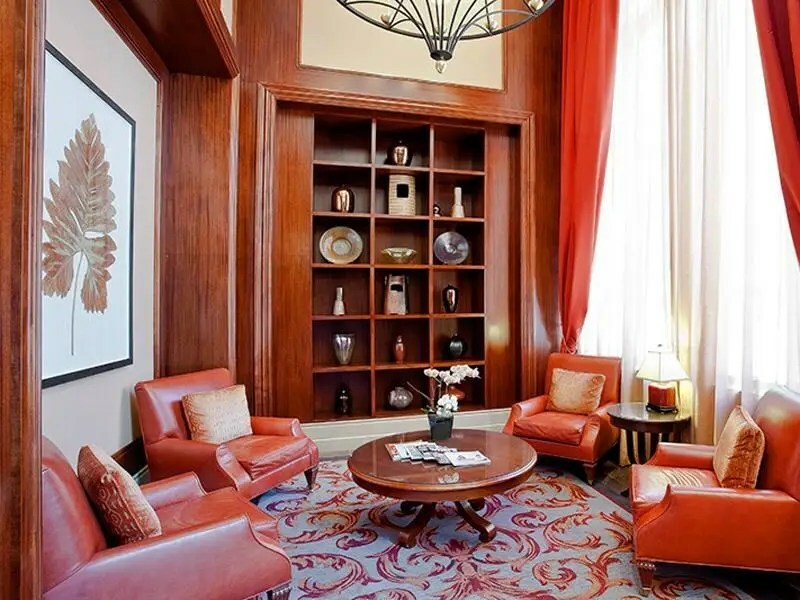 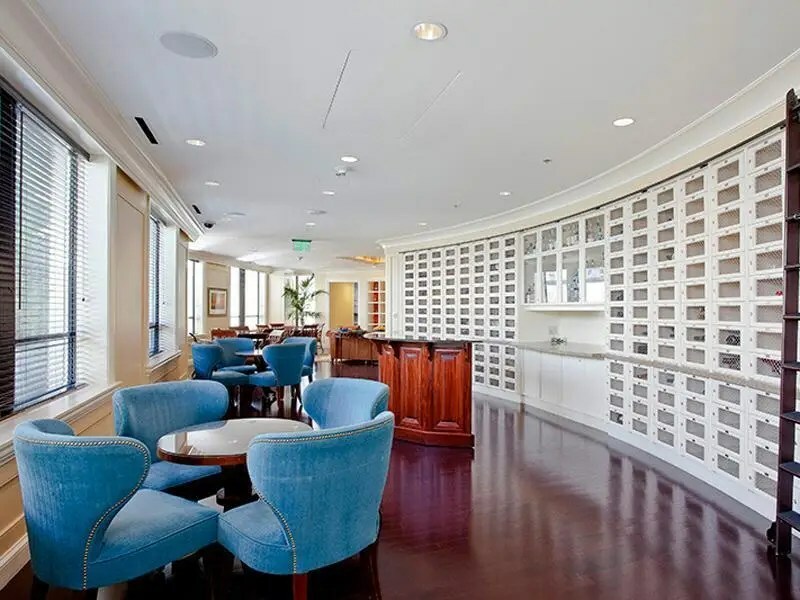 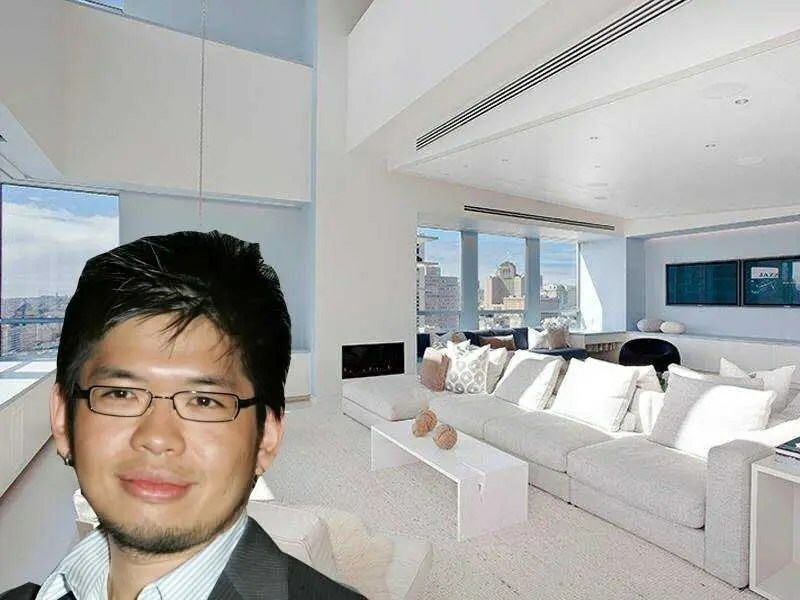 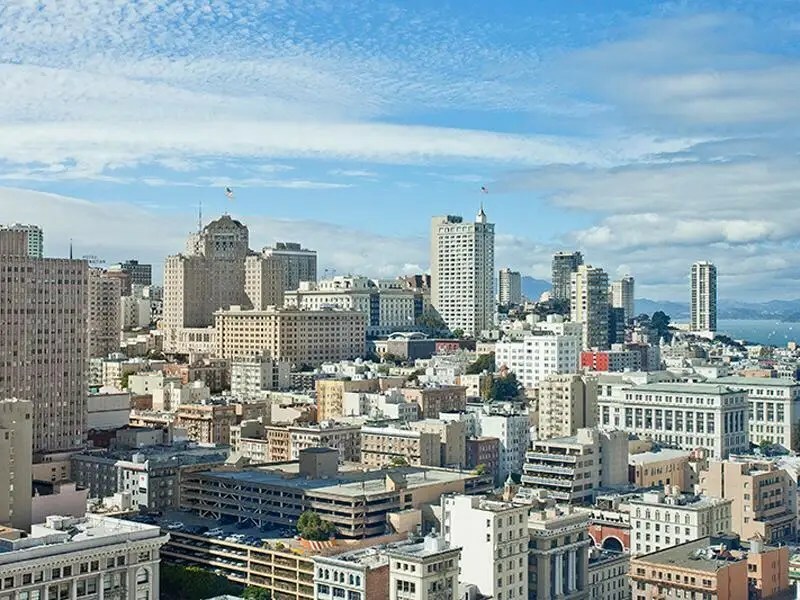 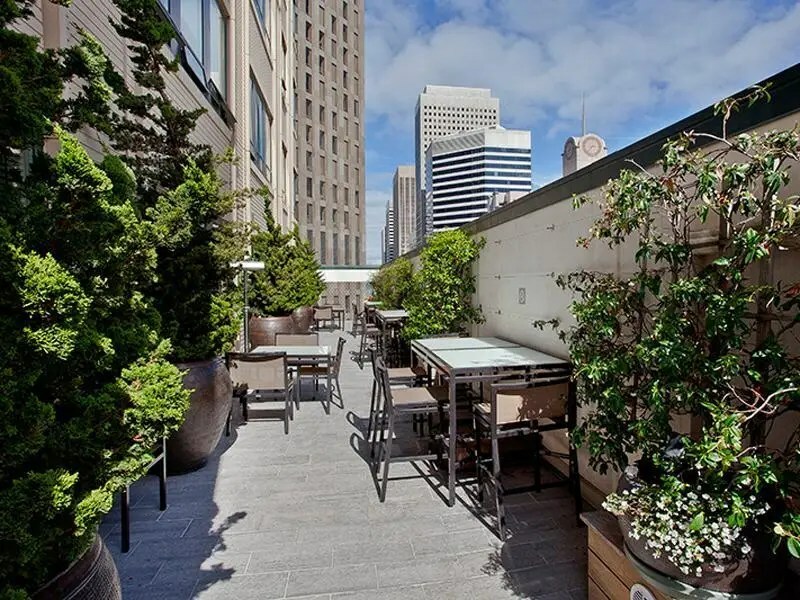 YouTube co-founder Steve Chen has listed his penthouse inside the Ritz Carlton Residences (equipped with 24/7 concierge and a gym) in San Francisco for $8 million, according to The Wall Street Journal. 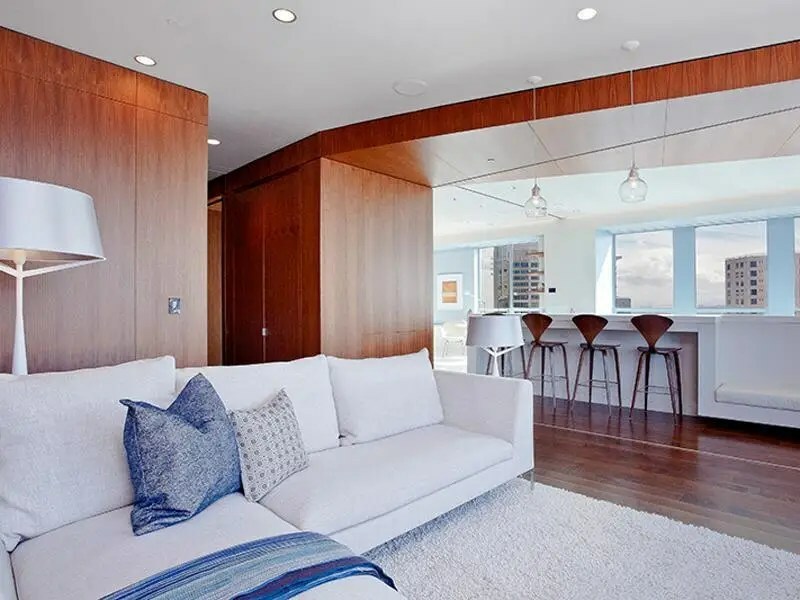 Complete with a fully furnished roof deck, the two-story, 3,063-square-foot pad has two-bedrooms and 2.5 baths. 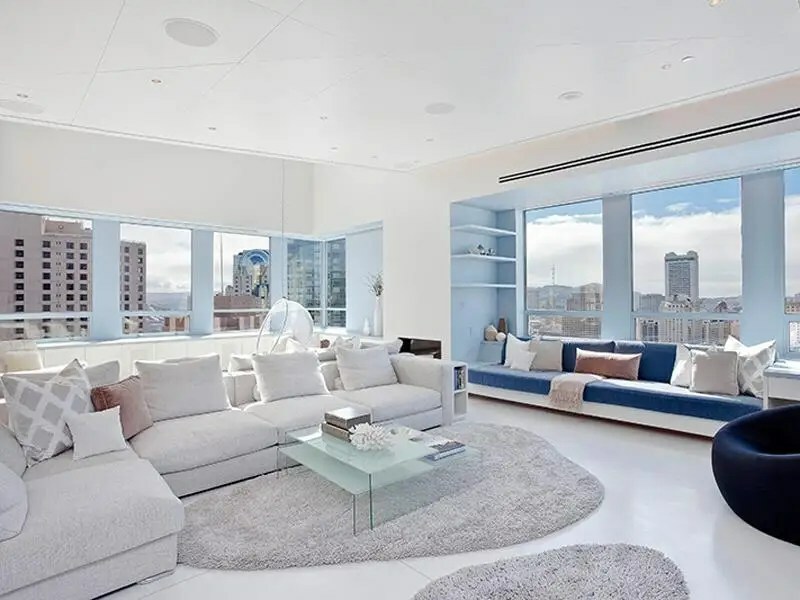 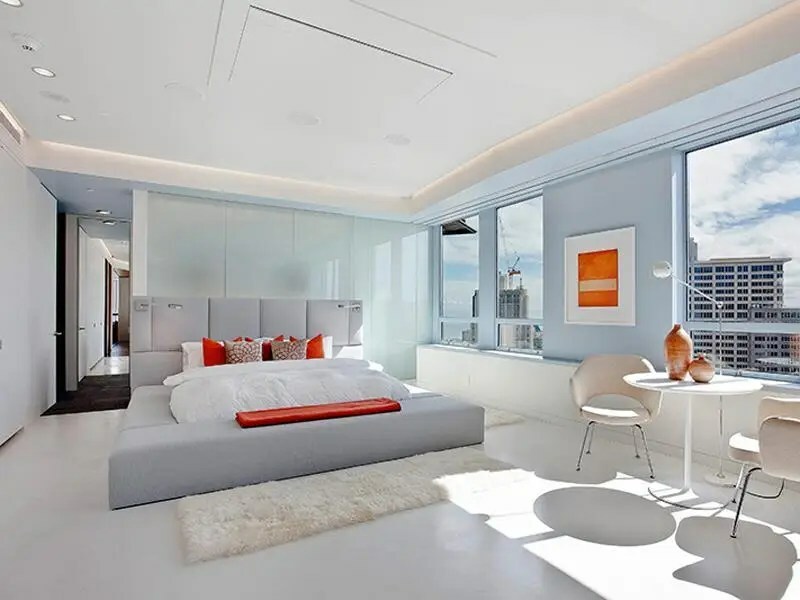 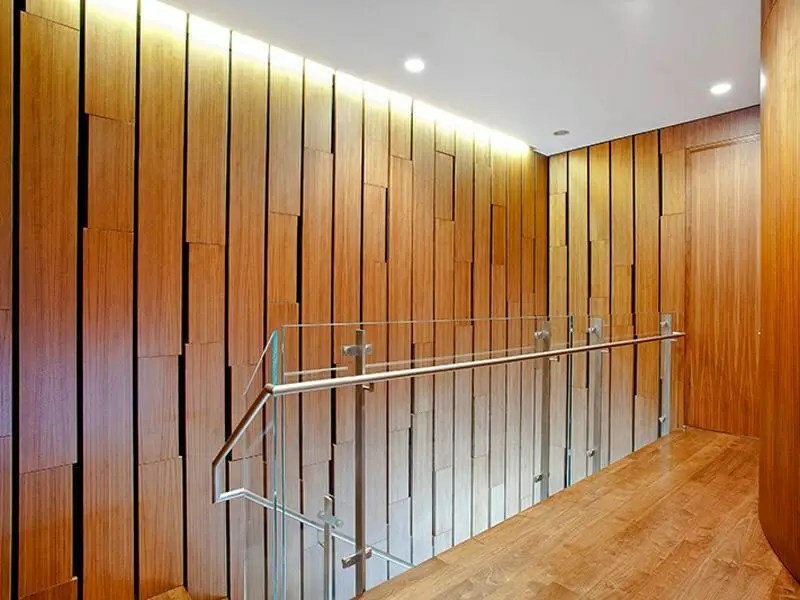 Chen spent 21 months working with architect Joel Sander to turn the condo into a “tech lovers dream home,” including installing a glass wall between the master bedroom and bath that turns from clear to frosted at the touch of a button, according to Curbed SF. 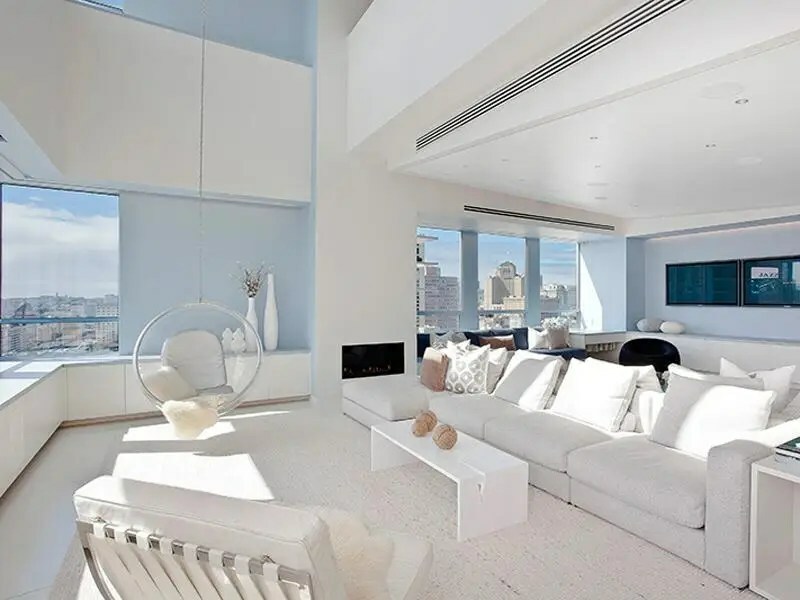 Chen purchased the pad in 2007 for $4.85 million, when it was “just an empty shell,” according to the WSJ. 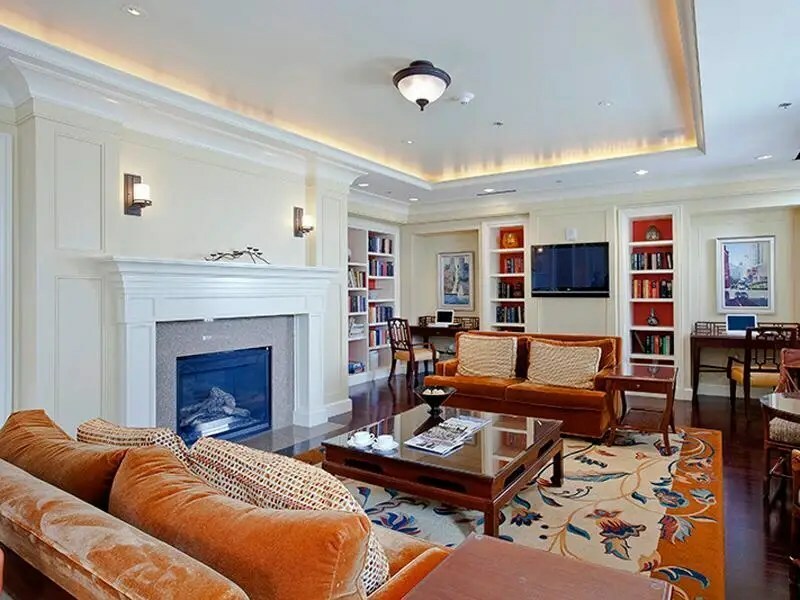 The living room has a large sectional and a bar for entertaining, but Chen said his “favorite part of the home” were the 3 TVs located here. 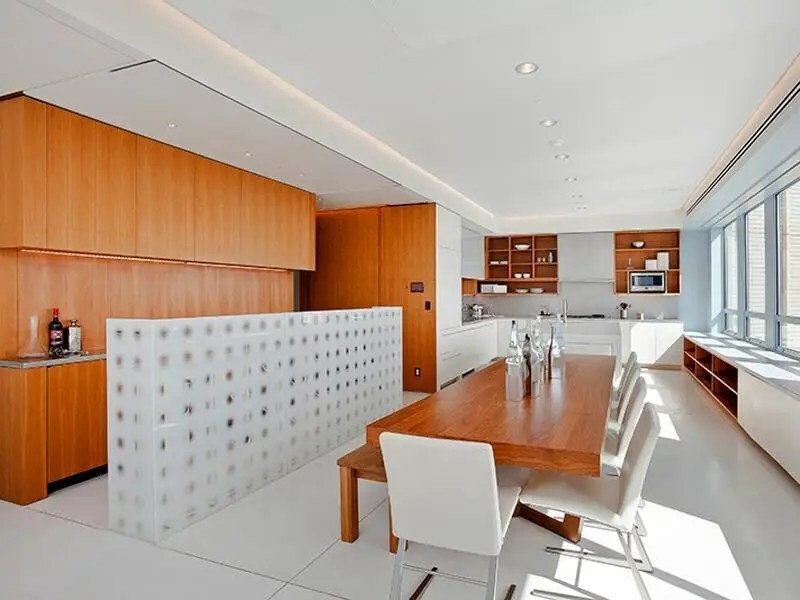 My favorite part is the minimalistic kitchen with beautiful white and wood accents and walls. 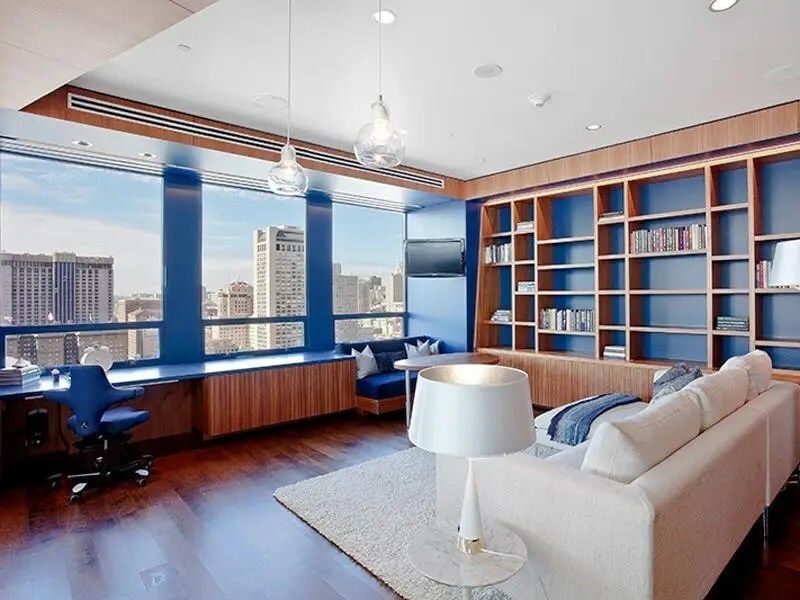 His office with blue accents is pretty baller as well. 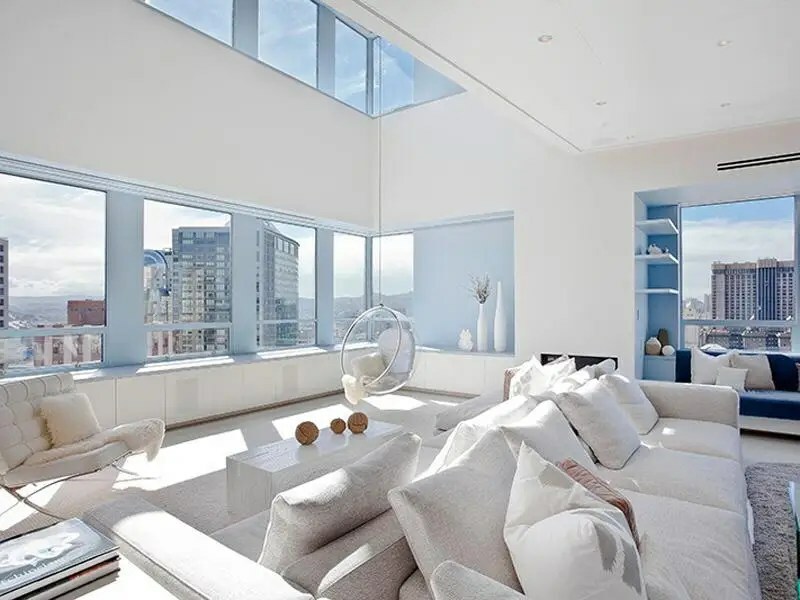 Chen is selling this amazing place because he just has a 2nd child and his family needs more space. 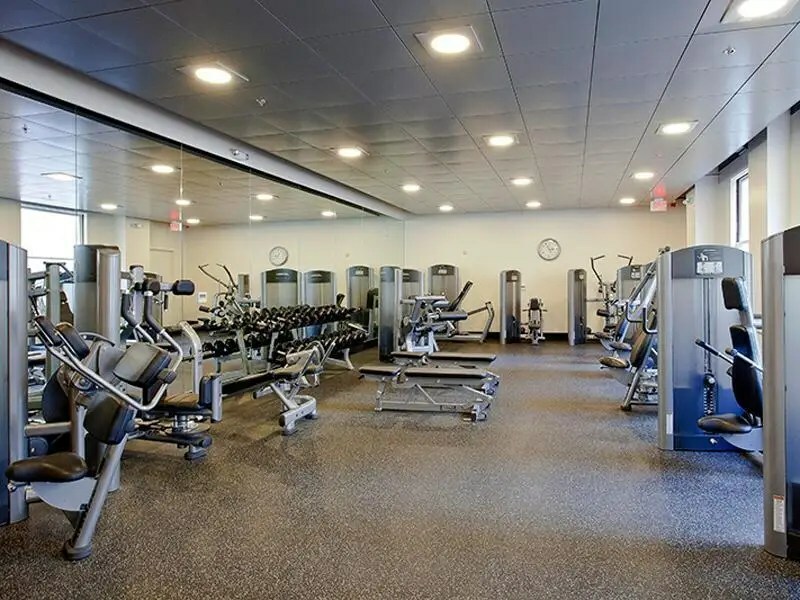 Check out the photo tour below!